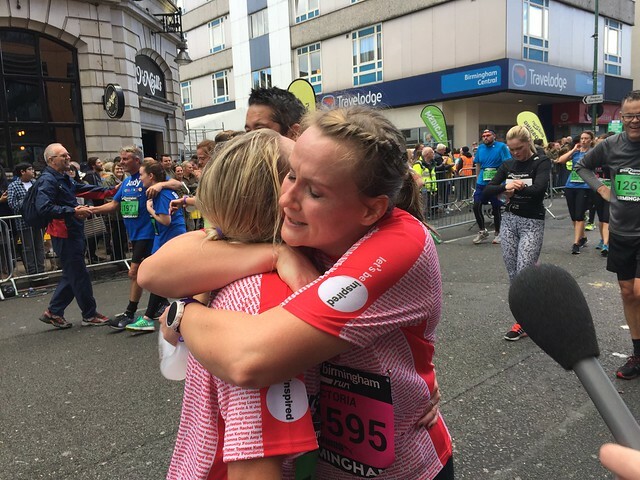 It was another memorable Great Birmingham Run in 2016 and, as ever, we have some exclusive videos & photos for our runners to treasure completey FREE! Take a look at these below - we will have further photos later in the week. This year we filmed many of our runners as they crossed the line - can you spot yourself here? Tom Payne has raised nearly £5,500 for running the Great Birmingham Run in memory of his father Andy. Andy's story was the inspiration behind our #BeInspired campaign for the Run this year and sadly he lost his brave battle with acute myeloid leukaemia in July. If you have been inspired by the stories above and would like to run for Cure Leukaemia in 2017 click HERE to enquire about places for the Great Birmingham Run and inaugural Birmingham International Marathon on Sunday October 15th 2017.